Iran: She defended Iranian women who removed their hijabs. Now she’s been given 38 years in prison. IN AN authoritarian system, it takes a tremendous amount of personal nerve to stand up for one’s rights. Many who do so suffer imprisonment, physical abuse and painful family repercussions. They also often rely on a few courageous lawyers who fight for them through arduous journeys in court and prison. But the authoritarians have figured this out and are punishing the lawyers, too. 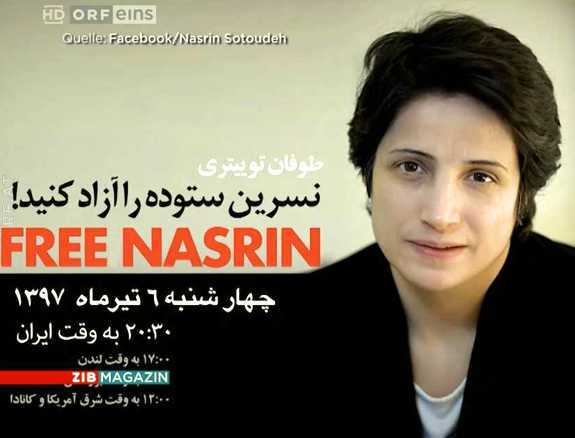 This is what is behind the shockingly severesentence given to Nasrin Sotoudeh, an Iranian human rights lawyer, who told her husband she has been given 38 years in prison and 148 lashes. Dear @AnaGomesMEP bless you and thank you for your support.